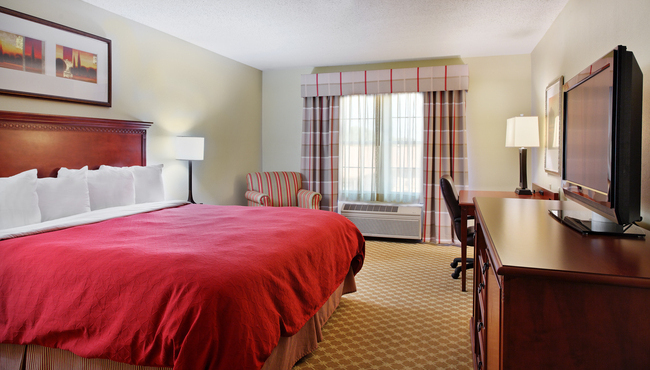 After a day with friends and family at The Barn at Allen Acres, relax in your hotel room at the Country Inn & Suites, Rock Falls, IL. 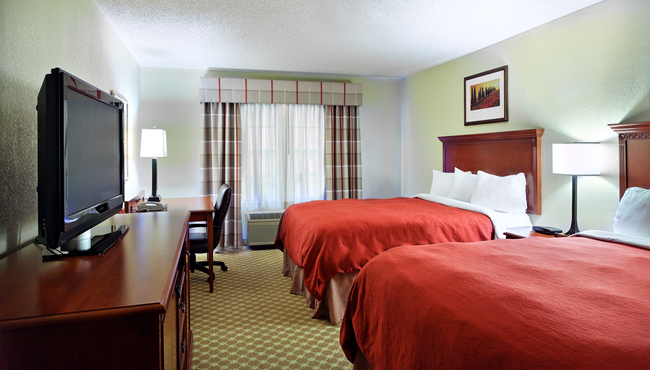 Unwind on your plush bedding while you check emails with free Wi-Fi or watch an HBO show on the flat-screen TV. If you need to get some work done before bed, set up your laptop on the spacious work desk. Each morning, you can have your first cup of coffee right in your room thanks to the coffeemaker. 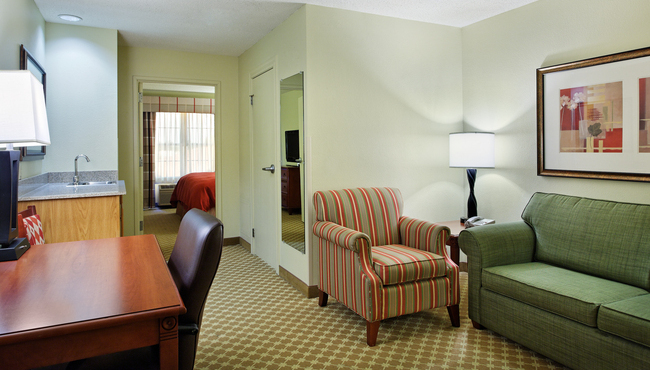 For extra space, consider booking one of our One-bedroom Suites. 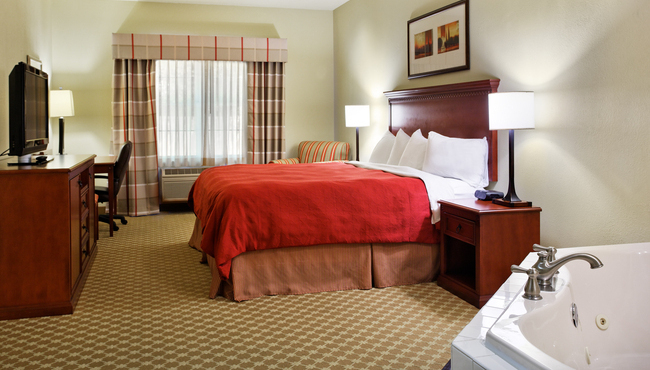 Enjoy standard amenities like free Wi-Fi and refrigerators in our Standard Rooms, which offer your choice of a king bed or two queen beds. Celebrate a special occasion by booking a one-room Whirlpool Suite, featuring a king bed, a whirlpool for two and all standard amenities. Great for both families and business travelers, these spacious suites offer a private bedroom, a king bed and a separate living room in addition to all standard amenities.